According to photos and architectural renderings obtained by ifoAppleStore, the Chongqing Apple Store will borrow the iconic design element from its sister store in the Pudong district of Shanghai. Aside from the huge glass structure, which is likely to hold a spiral staircase and serve as the store's main entrance, the new China outlet shares a few similarities with other modern flagship locations. Looking at the rendering above, it appears that the Chongqing Apple Store will be completely underground, much like Pudong and the recently opened Istanbul, Turkey store. 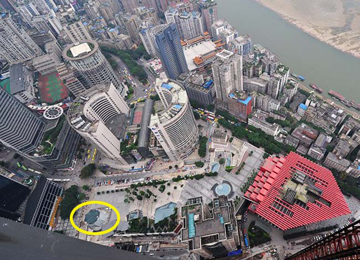 Unlike the Pudong location, Chongqing looks to have two entrances, both circular in design and placed at either side of a plaza boasting greenery and water features. 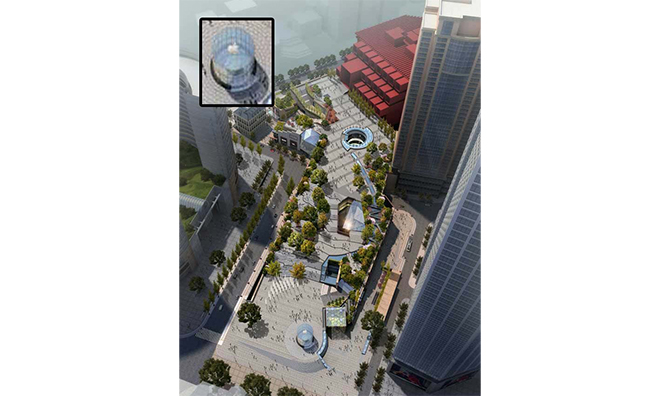 It looks as though only one entryway will have a glass cylinder as the other circular feature is level with the ground. 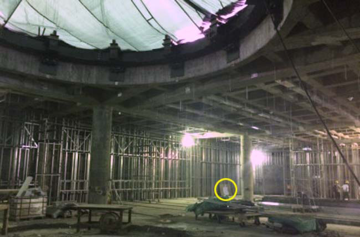 Photos seen below show a tall barricade currently located where the rendering places cylindrical entrance, while snaps taken underground reveal ongoing construction work inside the future store. 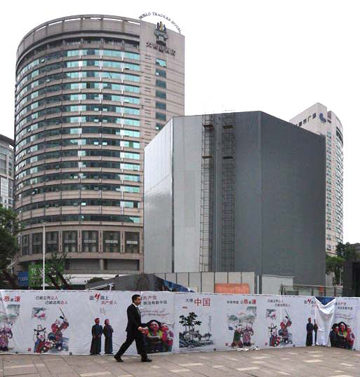 At this point not much has been completed, though the publication believes Chongqing will be ready to open in early 2015. Apple was granted a patent for the glass cylinder entryway in October that cites the use of glass laminate technology employed in other monolithic glass structures like the Fifth Avenue Apple Store in New York. One of the inventors named in the laminate patent is company cofounder Steve Jobs. Apple is looking to triple its retail footprint in China as the region plays an important in the company's future growth. In the first two quarters of 2014, China became Apple's fastest-growing market after logging a 21 percent increase in revenue.